How do you handle late drop-outs from pickups? You might be familiar with this: somebody signs up for doing a pickup and then leaves the evening before or even on the same day. It involves some work to find a replacement… contacting lots of people, maybe even calling them… and sometimes you don’t notice it at all and the pickup falls flat. How do you handle these problems in your group? Do you have rules in place to prevent this? How could Karrot help you with this? I heard about it from the Östersund group, would be great to get more insight from @Teddy! How is it in Warsaw @karolina? How about Gothenburg @bruno? In our group it is not much of a problem because we have many members on few cooperations and so always someone to replace a drop out. We kinda have the rule in Östersund, that you shouldn’t drop out later than one day ahead. If they drop out later, they are supposed to post it either on the forum or in our emergency group on Telegram. Naturally some people are also using the Facebook group for this. 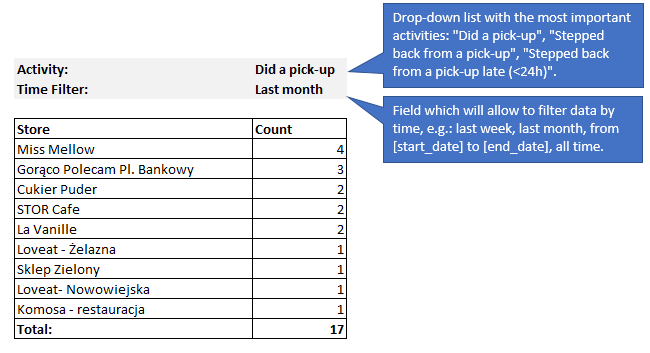 There is the function, that karrot sends out a mail if there is still a spot free 24h ahead of the pick up. Does this also get send if somebody drops out, say 20h ahead? This would be useful. Then everybody sees it. To be honest I haven’t noticed this behaviour so much in our group. I’ve seen some cases on pickups that have many slots, so usually a pickup does not go missed. When thinks like this happen is usually connected to a person’s general lack of commitment or capability to be organized and communicate with others, meaning that the person will also do other things like arrive late or maybe not show up at all. We’ve discussed all of these problems a lot and often times it gets better when the community talks to the person and demands more commitment, but usually complaints of this kind needs to go through the core team or “organizers”, who are seen as some kind of authority on dictating the rules, which is obviously far from the ideal on how a self-organized community should work. Especially when we are not doing the pickups in question so often and only hear anecdotes like “person X is often late” or “person Y did not show up”. I believe there’s not much to do on this through Karrot, it is rather a long and patient, often tiresome, work of community organizing. However, being able to check the history of a store or a pickup is a good way of establishing patterns beyond anecdotal evidence, for example to see if a person is often signing up and dropping out. Then we know we should have a talk to the person. Sorry for the long answer, I digressed on a very complex topic! In our case this has been used quite often actually, which i like on the one hand (you can just count in the feedback function how often somebody has not showed up), on the other hand it is the problem which you described above: they just trust that somebody who is “in charge” will take care of the problem. This also requires the more committed members to go through and check regularly. For us in Warsaw it’s similar as in Teddy’s case. This happens sometimes, but the person should say it aloud on FB and/or Karrot and search for a replacement. If they don’t - everyone gets very angry and next time they know they should let everyone know ;-). I think that most people in Warsaw disabled the emails saying what free slots are there tomorrow as this was too much spam for us. We have 30 stores and any day there are always 2-3-4 that have free slots. We actually organize one person every week who takes care or filling these slots! So we do manually what could maybe to some extent be done automatically. But because there is no option to “follow” only some shops (yet), that’s hard to do. We were also thinking about shifting the responsibility to the shop coordinators, but this would be a bit unfair as the coordinators of “unpopular” shops would have a hard time and of the “easy” shops wouldn’t need to do anything. So actually our everyday FB (and Karrot) reminders are kind of fair. We actually organize one person every week who takes care or filling these slots! So we do manually what could maybe to some extent be done automatically. But because there is no option to “follow” only some shops (yet), that’s hard to do. This a feature that might come up anytime soon, but still needs more refining on how notifications would work. Would it be useful for some users there to follow/subscribe to a store and only get e-mail notifications and/or notifications on Karrot about that store? Yes, definitely! The point is that Warsaw is a big city and we have over 30 stores. I don’t even want to know that someone is looking to fill a slot far away from where I live and work. I just want to choose my district(s). Just out of curiosity… How do you use the wall and what kind of messages are sent, since they reach all members of the group? Is it more general stuff or is there a lot of district-specific chat? In case of the latter, would a store-chat or wall make more sense and facilitate things? would a store-chat or wall make more sense and facilitate things? Yes, it would. It’s mostly about a specific shop only. I think 90% is shop-specific. So also the wall gets messy and full of unimportant stuff that is important just for a few hours or days maybe. I believe that late drop-outs from pickups can be better managed by a proper discipline in the group, rather than dedicated features in Karrot. What we really need is that all members of the community fully understand the responsibility they take when they sign up for the pickup. This can be managed by a proper communication and clear rules what should be done when you need to step back (e.g. let everyone know on Karrot / Facebook if there are fewer than 24 hours to the pickup). With more details in the history, all members of the community will be given a simple tool to see who steps back late and doesn’t communicate it to others. Because it won’t be easy to hide misbehaviour, everyone will have an incentive not to do it. If someone still breaks the rules frequently, we will have strong evidence to open a case against her/him in a new conflict resolution feature. Thanks to this, we could quickly see if a member of a community has a tendency to step back from a pickup late without the need to check its history in details. Moreover, this table could also help us solve other problems, e.g. handling much wanted stores which is discussed in the other thread. I believe that some users don’t deliberately validate the rules but they simply act without reflection. This table could be helpful for them to actually reflect on the history of their pickups and decide if they shouldn’t limit their pickups in much wanted stores for some time. The stats are also an important fact-based argument in the discussion with members who may have a tendency to break the rules. Really good suggestions, @mzpawlowski! Making user’s behaviour more easily visible to others through stats and a better view on history is a good way towards improving community controls. In our group we recently decided for a maximum of pickups per month on two specific popular stores (giving an exception for people to sign up more than the limit if the pickup has an available slot 24 hours it happens). Since there is no particular feature related to this issue yet, we have to check manually if people are following the rule. So in our case the suggestions above would be useful and I’m pretty sure that it would also be good for deciding and enforcing rules for late drop-outs and other similar kinds of arrangements decided by the community. @tiltec Do you consider to add what I mentioned in this post: How do you handle late drop-outs from pickups? I’ve checked that API returns the date of the left pickup so it should be relatively easy to display this information in the front-end, I believe? Not yet, I’m occupied with other topics lately. I had a look at this - there was a bug introduced recently that caused the date of the pickup to be hidden in the history view. I will release a fix soon. I guess you already noticed that the JSON response from the API contains all details you need for calculation. I’ll keep in mind to review your proposals when I find more time for it. I like the idea of adding a feature that each group can use to enforce their own rules. It’s a bit tricky with statistics as they only highlight a tiny part of reality. When a user steps back from a pickup, it could also mean that they are swapping with someone else. In this case, the numbers would be misleading. But yeah, it’s probably still a good solution to add something like you described. Another idea would be to add a feature where users can “offer” their pickup slot to others. If somebody takes it, they are out - otherwise they have to do the pickup. We could make it so that in the last 24 hours, you can only offer your pickup slot and not drop out. But maybe that’s too restrictive. Might be helpful to know how many people are required for the pickup, as described here. If there are more people signed up already, then you can just drop out.